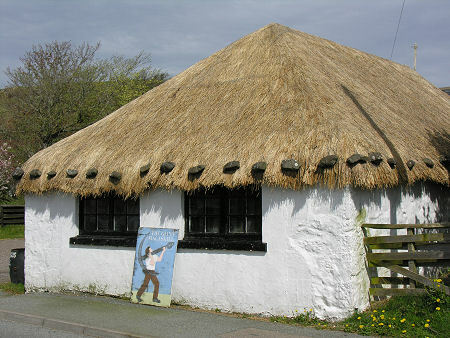 There was a time not so very long ago when thatch or turf-roofed buildings were the norm on the Isle of Skye. Today they are enough of a rarity to attract attention in their own right. 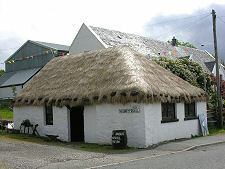 Which is why the Giant Angus MacAskill Museum on Dunvegan's Main Street stands out so strikingly. Angus MacAskill stood 7ft8in (2.36m) tall, weighed 425lb, and lived from 1825 to 1863. He was the tallest Scotsman ever to have lived, and the tallest recorded true giant. He was born at the north end of the island of Berneray, in the Sound of Harris, the fourth of ten children of average sized parents. As a baby, Angus was so small he was not expected to survive. 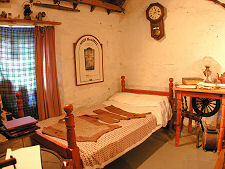 When he was 6, Angus's parents and their children were "cleared" from their land and forced to emigrate to the new world, where they settled in St Ann's, Cape Breton. Angus added most of his size during his teenage years, and by his early 20s has become renowned for feats of strength, becoming known as Gille Mor, the Cape Breton Giant, or Giant MacAskill. Some of the stories about him, inevitably, grew in the telling, and today it is difficult to know what he was actually capable of. It was said that he could carry barrels of pork weighing over 300lb under each arm; or lift a fully grown horse over a four-foot fence; or pull a fishing boat into two pieces. 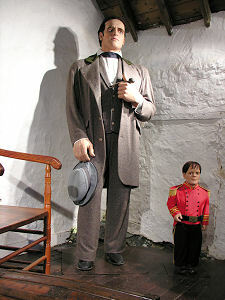 In time, Angus's fame reached New York, and he was recruited to take part in a travelling show, where he put on performances across North America and Europe, working alongside General Tom Thumb, the shortest fully grown man of the time. 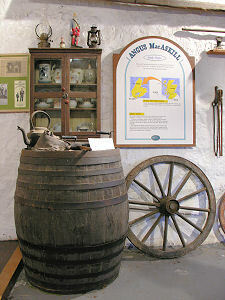 While in New Orleans or New York - accounts differ - Angus MacAskill was challenged by some French sailors to lift an anchor on the harbourside. It has since been estimated that this weighed between 2,200lb and 2,700lb. He lifted the anchor successfully, but as he dropped it he was seriously injured by one of its flukes. 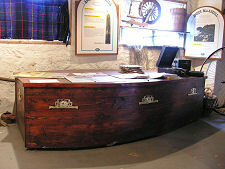 Angus retired to St Anne's, by now a wealthy man, and he settled down to run his business investments. However at the beginning of August 1863 he suddenly fell ill with what was described as "brain fever", and he died on 8 August. 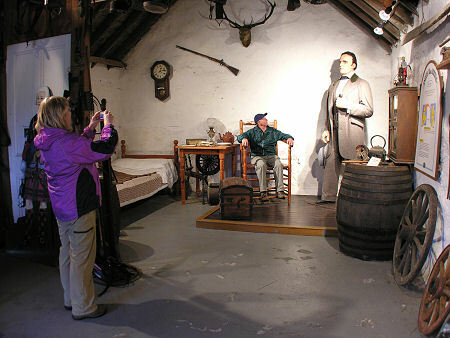 So why is there a museum dedicated to him in Dunvegan? 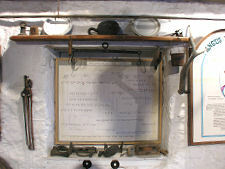 It was established in 1989 by local man Peter MacAskill (who also established the Colbost Croft Museum) to provide a lasting memorial to a notable member of the clan who, though he may never have come to Skye, spent his first few years on an island less than 30 miles away: before, like so many other MacAskills and so many other highlanders, having to leave for a new future in a new world.